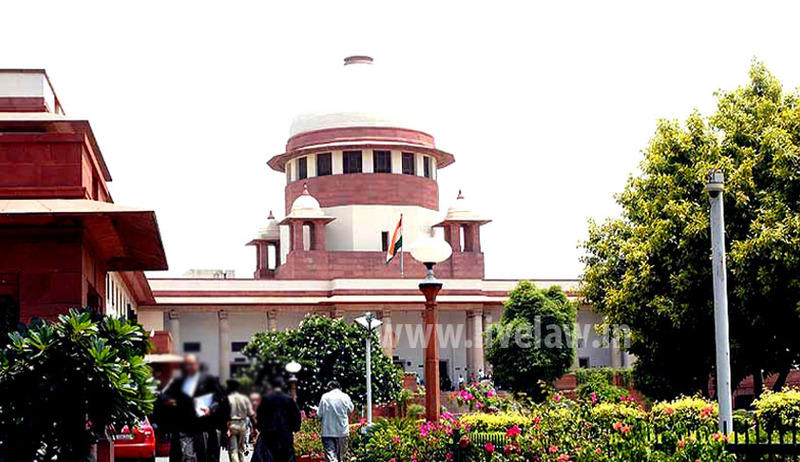 The Union Government on Thursday said the judiciary's primacy in judicial appointments could not be perpetuated as it reiterated yet again its submission that the challenge to the NJAC Act ought to be referred to a larger Bench as the issue could not be examined without resolving the question of the judiciary's primacy. Making a strong plea for referring the challenge to the National Judicial Appointment Commission (NJAC) to a larger Bench to re-examine whether judiciary had primacy in the appointment of judges as held by a nine judges bench in second judges case in 1993, Attorney General Mukul Rohatgi said that "it (1993 judgment) amounted to rewriting the constitution". He said that 1993 judgment required reconsideration for addressing the question whether the "primacy of the Chief Justice of India in judicial appointments could be institutionalised for ever". "Why primacy of CJI alone when other constitutional authorities like president, governor and other judges of the apex court are equally important," Rohatgi asked the court. Mr. Rohatgi’s submissions led to heated exchanges in Court with senior counsel Mr. Fali S Nariman appearing on behalf of Supreme Court Advocates-on-record Association (SCAORA) who vociferously opposed the Attorney General’s demand for reference of the matter to a larger Bench. Mr. Nariman said that the five-judge bench was entitled to hear the case completely. "If you are asking for a reference to a larger Bench, it means you accept that Second Judges case still stands; but you (AG) also contend that it has been wiped out by Article 124A. You can't take both stands. "Let this Bench hear the whole case and decide", Mr. Nariman said adding that when the arguments were advanced by the petitioners there was no word from the Centre that the matter has to be referred to a larger bench. Mr. Rohatgi held his ground saying that there was no bar on raising the issue as the other side had repeatedly referred to the 9-judges’ bench judgment which according to him suffered from defects. Eminent counsel Mr. K K Venugopal, Mr. K Parasaran and Mr. Ravindra K Srivastava, appearing for various states which have ratified the new law however agreed with Mr. Rohatgi’s submission that the matter be sent to larger Bench. "The Second Judges case (1993 verdict that brough the collegium system) was an instance of judicial legislation", Mr. K.K. Venugopal said. Continuing with his submissions, Mr. Rohatgi submitted before the Constitution bench comprising of Justices Jagdish Singh Khehar, J. Chelameswar, Madan B. Lokur, Kurian Joseph and Adarsh Kumar Goel that the collegium system was experimented for over two decades, he said: "Things have changed. RTI has come into operation and time has come to look at what other countries like Australia and New Zealand were doing". Describing the constitution as an "elastic and flexible" document which can be changed to meet the evolving needs of the changing times, Mr. Rohatgi made a strong plea for giving as chance to NJAC to function. "Let us try NJAC. Allow it to work. Nobody has tried it. People (petitions challenging the NJAC) have rushed to the court." Mr. Rohatgi contended that there was a compelling necessity for the government to bring the NJAC to replace the collegium system for the appointment of judges to higher judiciary. He said that the judiciary too should be subjected to audit as other institutions were being scrutinised.